I pay tribute to whoever discovered the tamarind tree! I'm giving them a bow right now! Seriously, tamarind drink is one of my very very favourite drink! I am the kind of person who stays thooooousands of miles away from alcoholic and dairy drinks! No offence to anyone here! It's just me! I love fruit drinks! Any kind of fruits will do except for orange and pear! Don't get me wrong but they taste awful to my tastebuds! They are pretty used to good stuffs you see! Anyways! 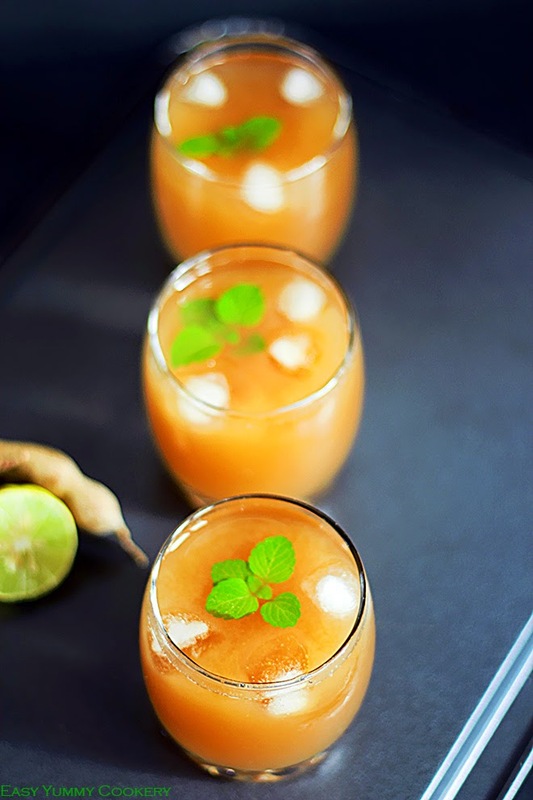 Tamarind drink is one of the easiest lips-macking fruit drink you can have a go at! Shell the pulp, soak in water, discard the seeds, add sugar and some more water and you're done! I have yet to tell you the best part! There are tons of benefits you'll get from this drink, which you would never have thought of! The most unbelievable one is that tamarind is a laxative! So, next time you're having a metabolism or stomach problem, you know what to do! Since tamarinds are antioxidants they are good for your immune system and help fight against flu and cold! Fever too!! 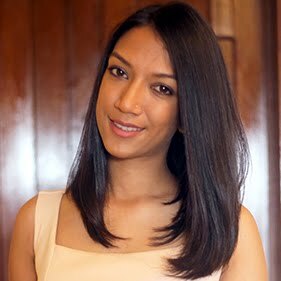 Now the list of the benefits is not exhaustive but perhaps a tad bit too much for this blog post! You could check this link if you wish or simply google the benefits! Coming back to the recipe of the day! 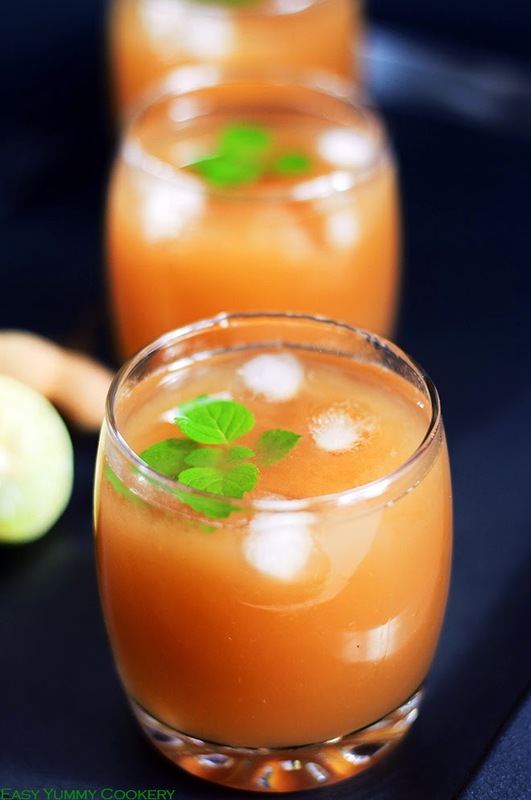 If you are craving for Tamarind juice (like I did !! ), or if you have tamarinds at home (like I did !!) and are clueless of what to use them for (not like I was!!) 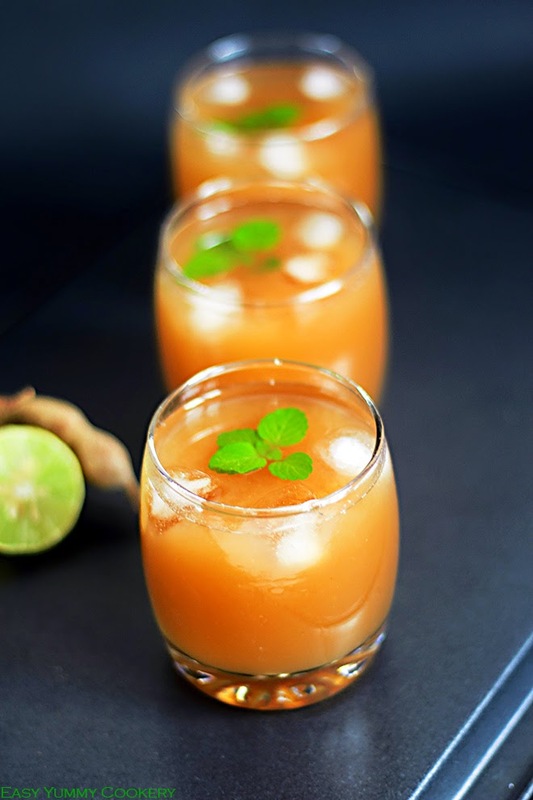 or even if you don't want a tamarind drink right now, still, go make this refreshing, sweet and tangy tamarind drink! It's okay you'll thank me later! At the end of the resting time, mash the tamarind pulp using your fingers and get rid of the seeds and any fibre. Add the sugar, juice of the half lime, and the 3 cups of water. Mix thoroughly (in a blender), strain off and served chilled or with ice. To speed up the process, soak the tamarinds in hot water for 15 minutes. You can blend the tamarind pulp to get a smooth paste and add it to the drink. You can also cook the pulp with the rest of the 3 cups of water, the sugar and the lime juice. Allow it to cool and then serve with ice cubes! It is totally up to you. I have yet to try this out myself!! If the drink is too sweet, add a little more lime juice or if too sour adjust the sweetness! Fantastic and completely a refreshing juice. Am gonna try that as soon as I can lay my hands on some tamarinds! Nice recipe.Tamarind is used in India kitchens for adding delicious taste to food.It has many medicinal benefits also like aiding digestion,sunstroke and many more.